What I really wanted was tacos. Pulled chicken tacos with soft corn tortillas and fresh pico de gallo. 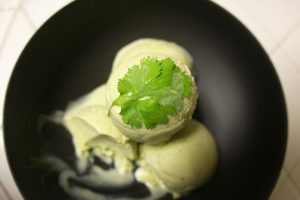 Maybe with some spicy and tart tomatillo salsa and big dollops of sour cream. Loaded with queso fresco, or perhaps some monterey jack. And pickled jalapenos. Definitely can’t forget the jalapenos. Topped off with lots of freshly chopped cilantro. Heaven, I’m in heaven. And my hearts beats so that I can hardly speeeeeeeak! Well none of that happened. As you know, I just moved to Croatia, a little seaside republic east of Italy, west of Bosnia, south of Slovenia and Hungary. There are no tomatillos, no salsa, and no sour cream. Definitely no queso fresco, monterey jack or any cheese remotely similar. There are no jalapenos and no cilantro. I know, how can I stand it, right? Believe me, I’m shocked I’m not dangling from the rafters. But the gnocchi, spaghetti with mussels, grilled langoustines and hazelnut gelato are more than keeping me happy. The problem was that I was trying to recreate my beloved Mexican food in a place that has no Mexican ingredients, which can be 5 kinds of depressing. So instead of trying to duplicate, I simply adapted. A fellow Texan of mine brought me corn tortillas a few weeks ago. That was all I needed to get started. I settled on crispy chicken flautas. 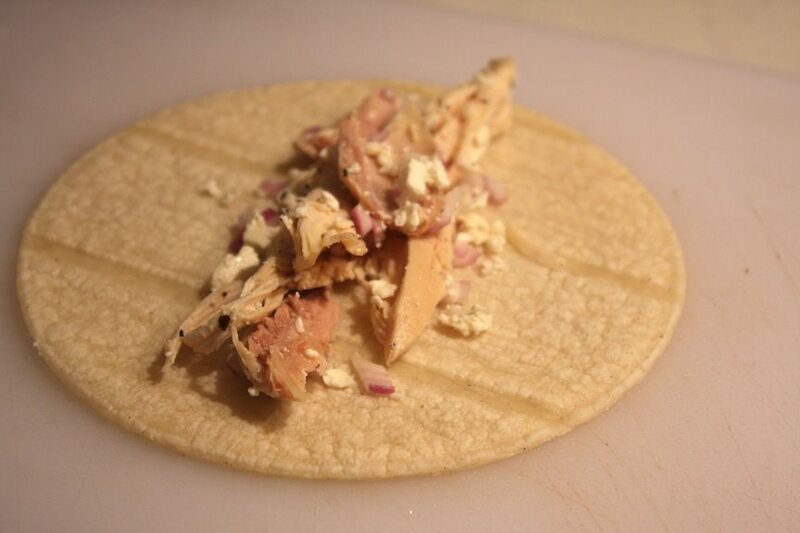 Each (contraband) corn tortilla was filled with red onion, feta and pulled roasted chicken then fried until golden and crispy. 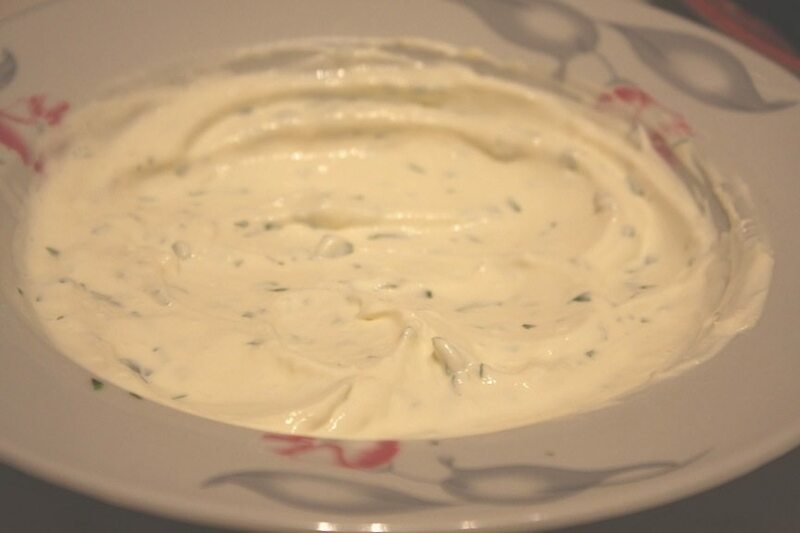 Instead of sour cream, they were dipped in a sauce of thick yogurt, lemon juice, garlic and fresh oregano. These flautas did a body (and mind) very good. The most important thing to remember when frying is maintaining the frying temperature. 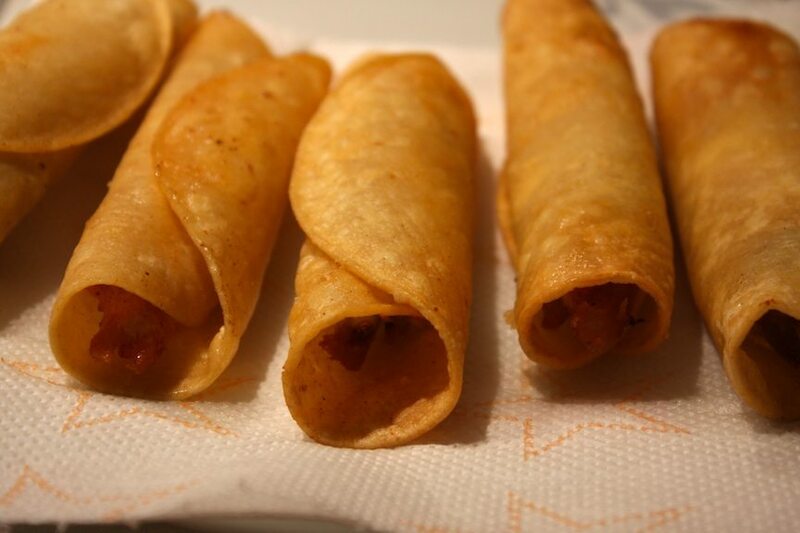 If the temp dips too low, the flautas will end up soaking up the oil becoming greasy and, quite frankly, unpleasant. The easiest way to prevent this is not to overcrowd the frying pan. 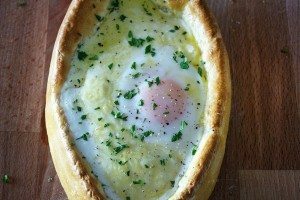 Cooking 2 to 3 at a time is reasonable, depending on the size of your pan. Also, if you notice the temp dipping below 320F, finish cooking the flautas in the pan then don’t add any more until the temp is back up to 350F. Preheat oven to 350F (180C). 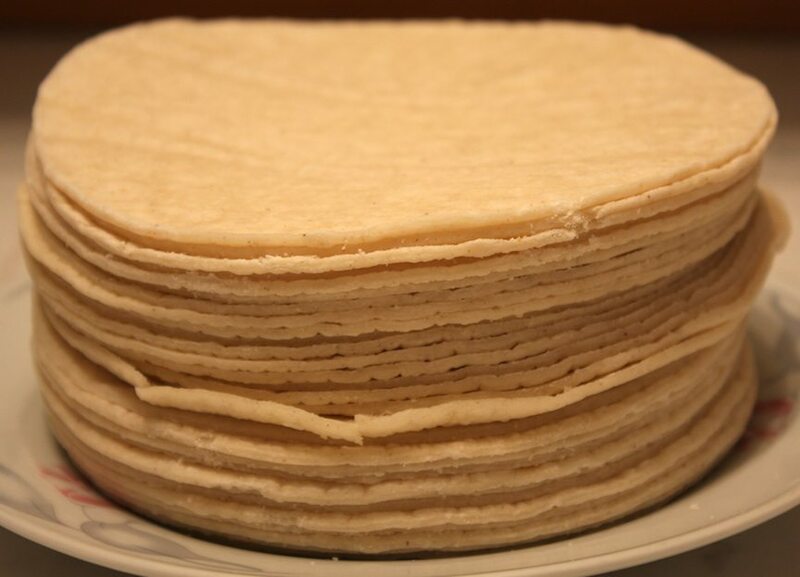 Wrap tortillas in foil in two packets and heat for 10 minutes until they are super soft and steamed. If they are not super soft, they will break when you roll them. Add oil to heavy sauce pot or cast iron pan until it is 1″ deep. 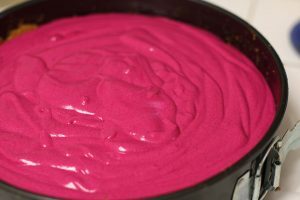 Heat to 350F (180C). Toss chicken, onion, feta and pepper in a bowl. 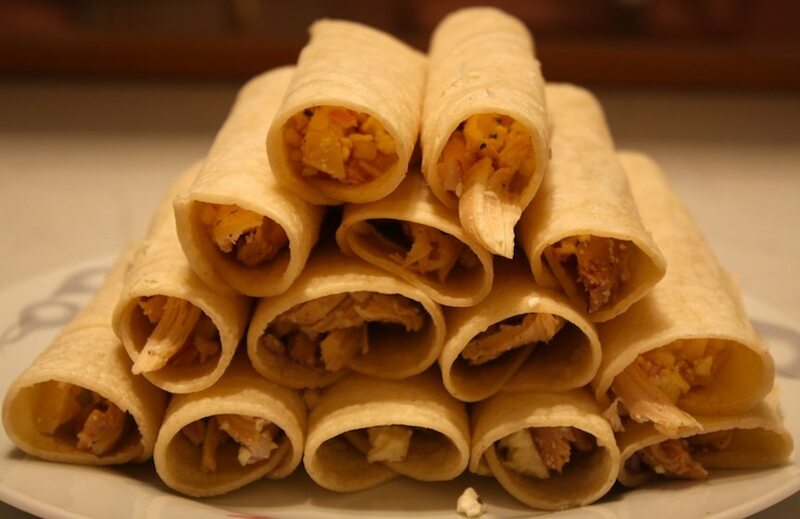 Put about 2-3 spoonfuls of filling in the tortilla and roll tightly. Using tongs, gently lower each flauta into the oil seam side down. I hold the flauta in the oil for about 15 seconds until the seam sets. Let fry on each side for 45-60 seconds until lightly golden. Remove and drain on paper towels. Stir together yogurt, lemon juice, oregano and garlic. Yup, it’s just that easy. I’ve added this to the list of things I would eat off a bumper.